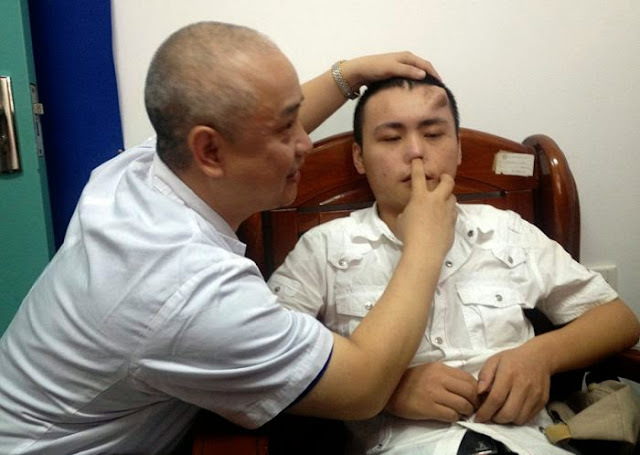 A 22-year-old man from China lost his nose in a traffic accident last year. 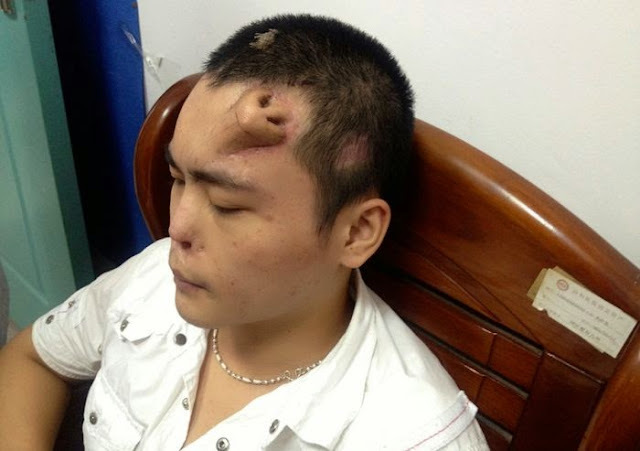 The surgeons came up with the idea of growing a nose on his forehead. After nine months of growth, surgeons say that the nose is in good shape and the transplant will be performed soon. 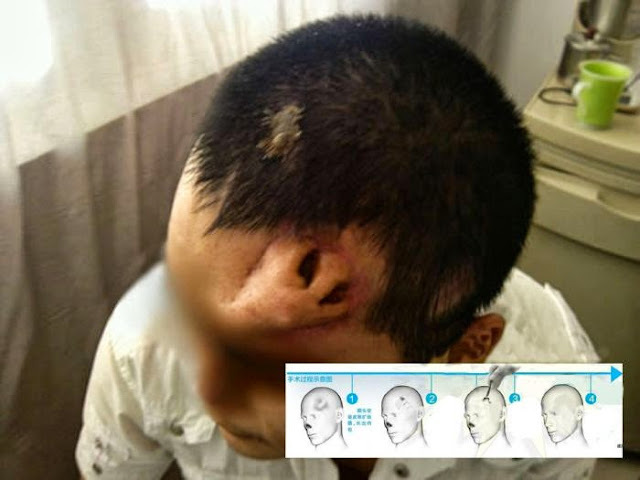 0 responses to "Nose on Forehead (3 pics)"